Being diagnosed with any disease can be both daunting and traumatic to the person as well as their loved ones. Being uninformed about the facts and what to expect exacerbates the problem. It is important that the infected person as well as those near and dear to him / her, equip themselves with knowledge to deal with realistic expectations. Just as important is to allow the person to work through their emotions and listen to them when they speak without dismissing how they are feeling. These days HIV is manageable, and many who are PLWHA live normal, healthy, and productive lives. This is by no means advocating that people should not take precaution. Being HIV positive is still a serious disease. It’s thus important to build a support structure that can assist one with physical and emotional challenges that lie ahead. One’s family and friends will mean well and deliver many platitudes, but a support group assists on a different level. Many questions may flood one’s mind and dealing with the reality of the experience is very helpful when processed within a group. HIV support groups: Sharing common symptoms and feelings is more comforting and consoling when people are living through the same ordeal and can explain and share what to expect and how to handle such situations. Meeting regularly to share openly without reservations becomes very comforting and is only really possible at HIV support groups. These HIV support groups offer a place where you can share your thoughts dreams and feelings openly in an environment where you feel safe. One’s supportive loved ones fulfil a different need and they too need support and counselling to know what to expect and how to deal with the situation. This is generally a blanket strategy for anyone whose loved one has been diagnosed with any disease. Fear and anxiety is based on lack of knowledge and thus when one is fully briefed, the situation becomes less terrifying and HIV support groups are the place to interact..
One will of course need to know where these support groups are and how to go about finding them. While the emphasis in this article is limited to South Africa, the way of going about finding them, as well as the feelings that one will experience, are indeed universal. There will be various ways in which support groups are set up. Depending upon various factors, the person who has been diagnosed HIV positive will choose what he or she is most comfortable with. As one gets to feel more confident to reach out and be an interactive and engaging mouthpiece, one may move on to a more personal manner of engagement. Many people choose private “one to one” counselling with a professional counsellor. Some prefer to initially remain faceless and rather chat on social media support groups and chat rooms, or even use telephonic counselling. Those who are more extravert may wish to join public groups who meet at a venue once a week and openly share face to face. This stage may occur later for the person who is initially shy. It is good to know that there are various ways of gaining support. Even better, that such support groups do exist. They are a safe arena not to hold back and certainly not to feel embarrassed or judged. At first, one may choose to sit back and observe, absorbing information being sharing. As one feels more confident in finding one’s voice, one may start engaging and interacting with other members, and as humans generally do, one may find a few people with whom one gels and connects with on a deeper level. When first diagnosed with HIV, one’s healthcare professional can provide guidance on both treatment and support. Support groups are found nationwide. Some are set up purely for men, others for women and of course there are family support groups too. For information on where to find ones nearest ARVs, or any other HIV related queries, the South African AIDS helpline may be called at no charge by dialing 0800-012-322, or one may visit the Treatment Action Campaign. Some of the support groups you can get in touch with. The HIV/Aids Programme offered by the SA Department of Social Development aims to de-stigmatise HIV/Aids and empower communities to prevent and treat the disease, for all affected to enjoy the best possible standard of living. Their strategy includes an HIV/Aids Programme which supports vulnerable people in poor communities, who are HIV positive. They work with people in the poorest communities and aim to strengthen families and communities by giving them access to the tools to avoid infection and to provide care and support for those who are infected. Their aim is for those infected with HIV/Aids to be self-reliant and remain within their families and communities. The FAMSA Community Development Team have over 30 HIV Lay Counsellors who offer effective HIV Counselling and Testing (HCT), HIV follow-up counselling, as well as Prevention of Mother to Child Transmission (PMTCT) counselling services. These can be found at 11 facilities/clinics in the Western Cape. These clinics are: Cape Town Station, Queen Victoria Clinic, Woodstock Community Health Clinic, Robbie Nurrock Clinic, Groote Schuur Hospital, Chapel Street Clinic, Spencer Road Clinic, Factreton Clinic, Kensington Day Hospital, Brooklyn Chest Hospital and Langa Clinic. The Triangle Project is geared towards the Lesbian Gay Bisexual and Transgender community. They host various support groups, one of which includes one’s partner as well. As an organisation purely committed to those living with HIV /AIDS, Aid for Aids do all that they possibly can to assist. 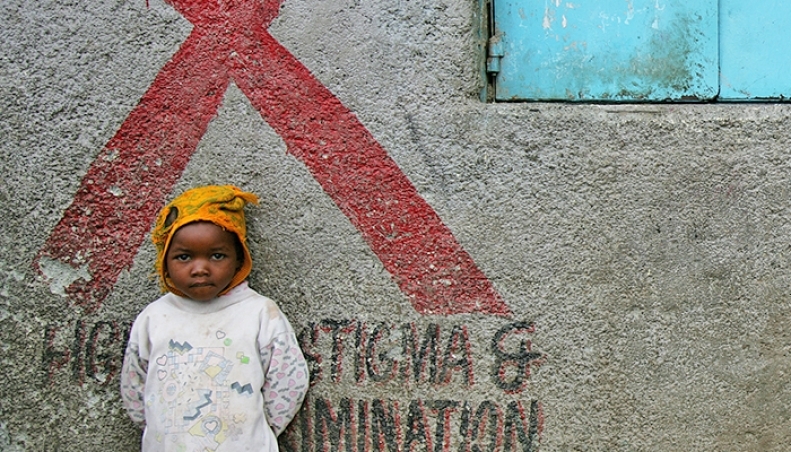 Their website http://www.aidforaids.co.za hosts a plethora of information and useful contact numbers. Their helpline is 0860 100 646. There are many more throughout South Africa. While supporting others in the same situation, many people find that they derive support for themselves too. HIV Support groups and self study: It is not easy to receive test results that reveal that you are HIV positive. Before you inform anyone close to you about your status you should come to terms with it first and by joining an HIV support group and doing online research is essential. There are millions of people living with HIV; you can research HIV and inform yourself about the disease. You will find many stories from people who have contracted the disease and they are still living happy and fulfilled lives. The key is to harness control of the disease and not let it grip the life from you. HIV Support groups offer a wealth of information and at the same time bring you into contact with other HIV positive people living happy and fulfilled lives. If you have received the test results from your doctor ask him or her to provide you with further information on the topic. Also mention how you feel as it will help you release some of the anxiety and stress from hearing that you are HIV positive. Many doctors will recommend you to see a counsellor or confide in someone closest to you. It is also important for you to disclose as much personal information about your sexual history as it will reveal how you could have possibly become infected. If you have a sexual partner you would need to inform him or her and they should be tested. Like anything in life information is power that will set you free. Clinics and online forums can help you understand the disease and it will provide you with the opportunity to express your emotions. The fact that there are many people living with HIV can help you receive support from them. When you are ready to disclose your HIV status consider who you will tell, how you will say it and where. This is personal so share the news in a comfortable and safe space. Think of individuals who have always loved you despite your wrong doings. This can be a close friend, a family member, someone from your religious background. The people who love and accept you for who you are, are the ones who will provide you with the love and support you require. Once you have educated yourself about your HIV status tthrough support groups and reading and you have disclosed the information to people who you trust and love then you will realise that you can continue living your life. HIV lowers the strength of your immune system. By taking antiretroviral medication, having supportive medical insurance, eating healthy, going for regular check-ups and exercising regularly will help you take control of the disease.